Keep warm in the winter months as you lose your weight. Wearing this sweatshirt is another great reminder to keep your focus on God and off of the food. In addition, this is a great way to share this message with those around you. 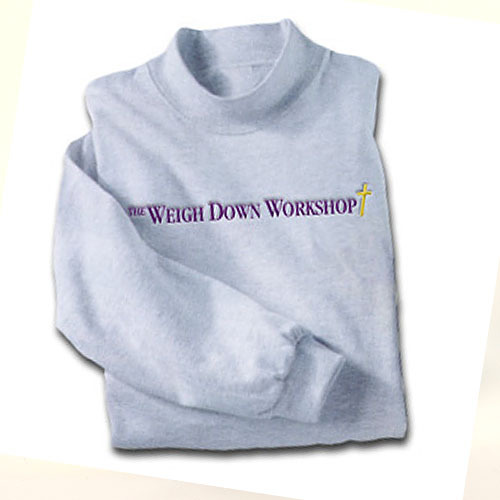 This comfortable grey fleece-lined cotton sweatshirt features a purple embroidered Weigh Down Workshop insignia on the front.